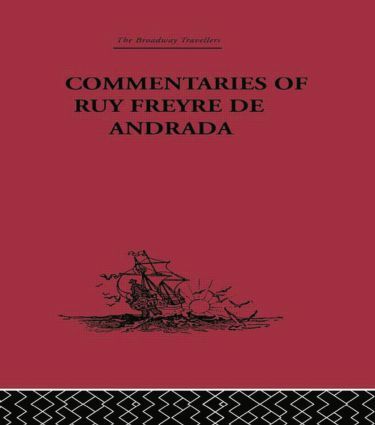 This is the first translation of the Commentarios since original publication in 1647. Copies of the original are very rare yet the work covers an historically significant period, describing the operations leading up to the capture from the Portuguese of Ormuz, in the Persian Gulf, by an Anglo-Persian force. Of importance in the history of the rise of the Indian Empire, this is the first printed account of the Portuguese version of the affair. The appendices include many previously unpublished Portuguese documents, the most important of which is the full Journal of Edward Monnox, who was present throughout the operations.